NETWORKING seems to be a forte for most extroverts who thrive on the energy of interacting with people and are capable of exuding confidence that puts them in the limelight during many a conversation. Which is why when I tell others my view that introverts can, if they choose to, dominate the future of business networking too, they seem bewildered at my bold claim. For 17 months now, I have been leading a community of introverted professionals and entrepreneurs through Meetup.com. We stepped up to the challenge to change the way introverts interact with others in the business world. Most of the members of the group are progressing steadily in their confidence and networking skills; some have told me that they now actually enjoy networking. Such positive feedback makes it evident that social media has been instrumental in allowing introverts to mingle with others behind the security of their computer screens. By first using this networking community, the introverts in our group have eventually eased out of their comfort zones and are now more eager to meet people face-to-face. Thanks to the Internet, the emotional and mental connection has already been established online, and the satisfaction of finally putting a voice and real face to the online name makes the attendance worthwhile. My objective is not to keep those in the community away from people. On the contrary, I aim to provide them with a comfortable environment to interact and gradually develop confidence to network with others outside the group. Yes, to connect with extroverts and to attend larger networking events. At the same time, I have noted that the conventional approach towards networking seems to be losing its shine. Mass distribution of business cards is no longer effective in expanding your reach. Individuals who hop from one person to another are making themselves forgettable. In short, those who pay less attention to forging a meaningful business relationship will be left behind. This, I believe, will be the tipping point where introverted traits become highly valued in the professional networking scene. Introverts tend to listen more than they speak. If they think they have nothing meaningful to say, they prefer to keep mum. In this way, they are more observant and are able to pick up details about people they meet. They make mental notes and may find ways to help the person in future. 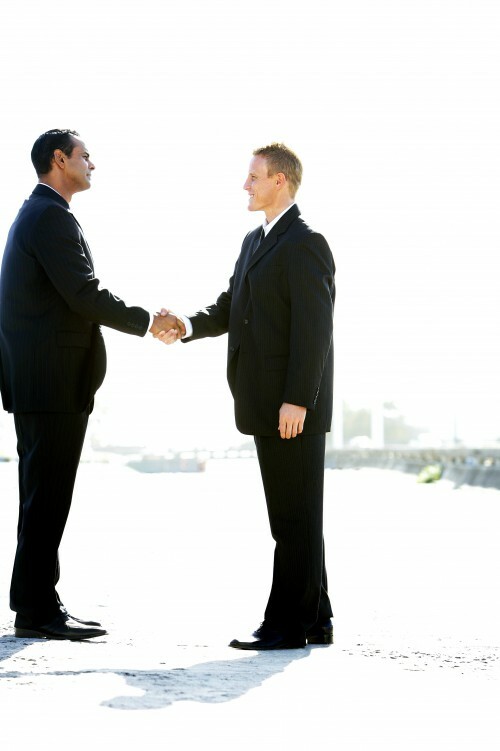 This trait enables them to decide if there is a business connection or if they know of someone who may be in a position to do business with their newfound acquaintance. It is rare to find an introvert distributing his business cards to everyone at a networking event. He exchanges them with only a handful of individuals. What this means for you on the receiving end is that introverts pay attention to what is important to you, and they forge stronger relationships. This also indicates that any business connection they make with you will be long-lasting, even if they currently do not see an opportunity to work together. Numbers are not the way introverts play the game. Alignment is. Introverts are not interested in making small talk. However, when you have an idea worth exploring, and one that is aligned to their goals, they will no longer shy away from showing enthusiasm. If you need someone to brainstorm ideas for your new business venture, introverts are ready to tap their creative juices to help you. They tend to see the bigger picture, so when you work with them, you will notice how focused they are on the larger goal of the partnership. Introverts cherish personal time — alone. At the end of the day, they would rather sit alone with a good book, or in front of the TV — all in the name of getting recharged. The keyword to remember is: alone. When introverts decide to share time with you, they value the limited time they have with you too. They also understand how important your time is, which means they will do their best to ensure your meeting is fruitful. So, at a networking event, when an introvert asks for a follow-up meeting, it means he values the connection and hopes to build on that, over time. Introverts dislike making commitments and promises they cannot keep. If they do not give you an answer immediately, do not feel offended. They need time to think through before replying. When they do say “yes”, you can be sure they are ready to get things done. I am not discrediting individuals with more extroverted personalities. There is absolutely no right or wrong on either end of the spectrum; no better or worse. I am not an expert on this subject. However, I have been in the networking business for 15 years and have been a keen observer on how introverts network. Instead of seeing introversion or extroversion as a permanent label describing how we behave, we should embrace our positive traits to create opportunities from professional networking.